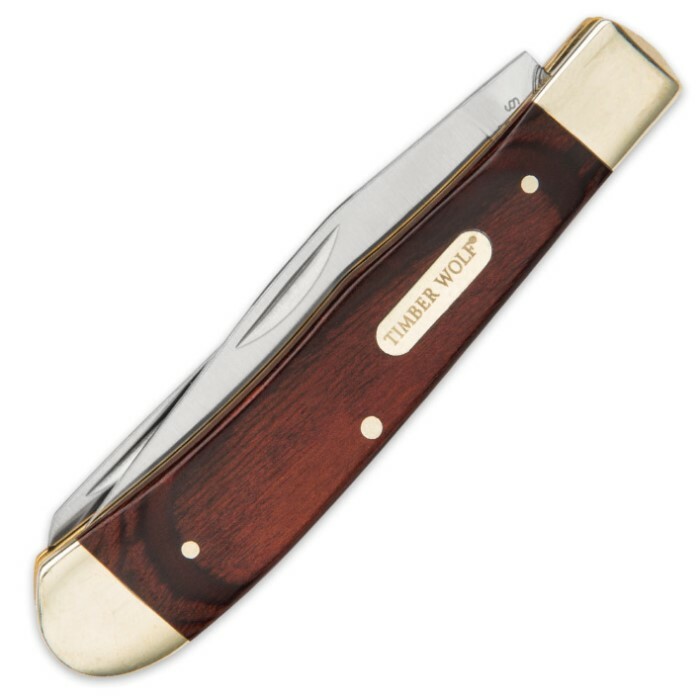 Timber Wolf Rich Brown Hardwood Trapper Pocket Knife | BUDK.com - Knives & Swords At The Lowest Prices! 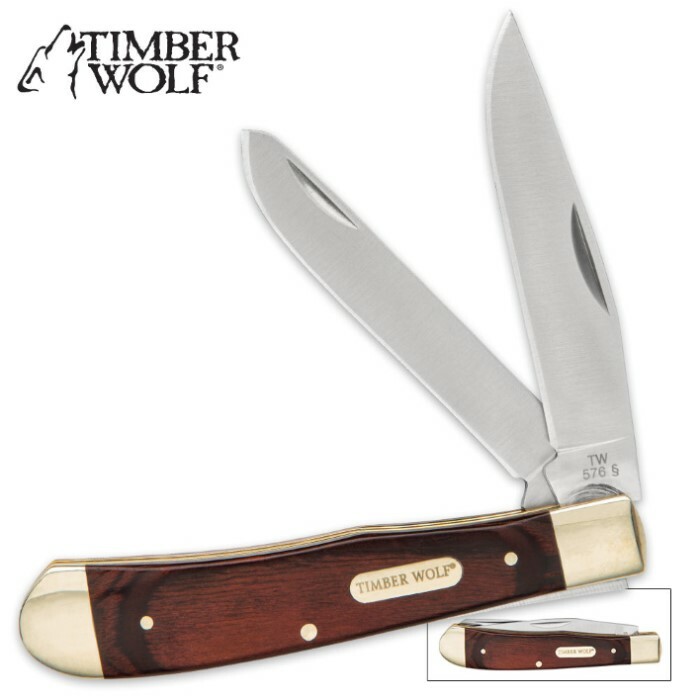 Our Timber Wolf Rich Brown Hardwood Trapper Pocket Knife has an exquisite, classic look and feel that speaks to years of tradition in crafting pocket knives. The knife has razor sharp 440 stainless steel blades with nail nicks to make them easy to access. The handle is made of a rich brown hardwood. Complementing the dark wood, polished brass bolsters and pins complete this exquisite design. When you see the Timber Wolf shield, you know you’ve got quality in your hand. This is the best pocket knife i ever owned. I've given this knife to friends and family and they all love it. Great quality product!